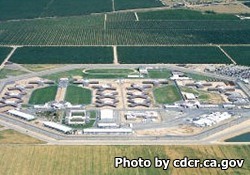 Valley State Prison is located in Chowchilla California, and at one time served as an all female prison, in 2013 it officially reopened as an all male facility. The facility now houses Level II medium security inmates and also serves as a re-entry facility which prepares inmates for their reintegration to society. This facility also offers comprehensive mental health treatment for inmates who have been identified as needing it. Inmates can work in the prison industry authority which provides a wide assortment of manufacturing and operational support for prisons across the state. Some of these jobs include working laundry detail and creating optical lenses. Substance abuse treatment programs and educational opportunities also exist for inmates incarcerated here. Visiting is on Saturdays and Sundays from 9am-3pm, anyone arriving after 2pm will not be admitted to visitation. Inmates in reception or administrative segregation can only have visits on Saturdays and Sundays from 10am-12pm. Although it is not necessary, visitors may schedule an appointment online here. Can I send an inmate envelopes and stamps directly or do I have to go through an authorized ventor?